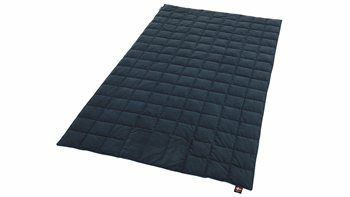 The range of Outwell Comfort Essentials offers extra warmth, improves hygiene, extends sleeping bag life and, of course, adds to sleep comfort. New for 2017, lightweight Constellation Comforters offer versatile extra warmth on site, at the beach, at outdoor events, for picnics or even garden barbecues. A neat range of pillows includes designs with Memory foam and micro beads, microfibre fill, PU chips and inflatables in a variety of designs.